» How to foster your child’s independence? Today I want to talk about Independence. We all want our child to become independent. But what do we mean by independence? 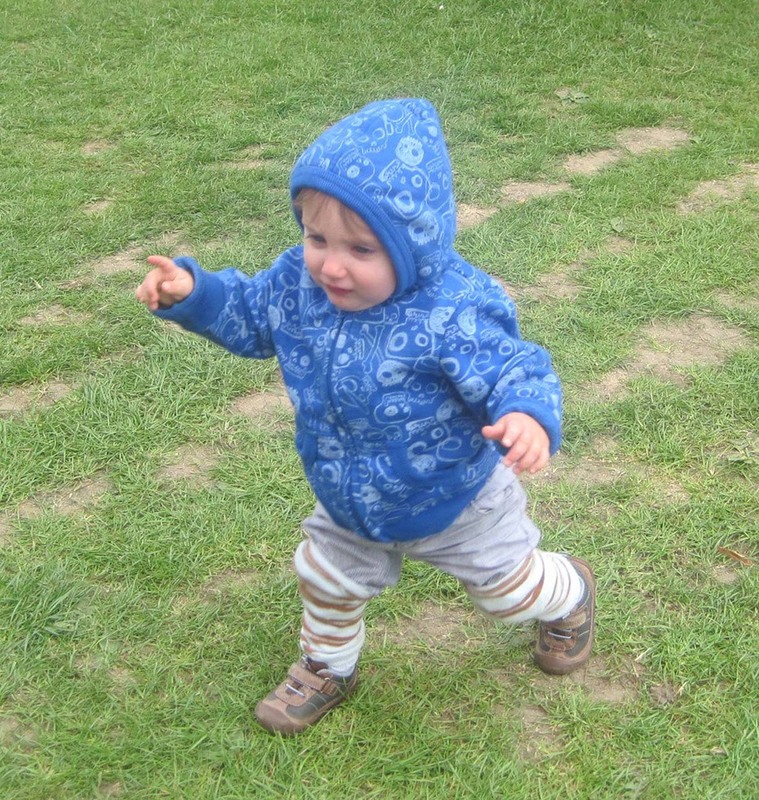 Many parents come to Montessori because their child want to do something by himself. You may have seen cute pictures of children doing Montessori activities on Instagram. What you haven’t seen, though, is the long and slow process behind that result… Or the mess they’ve left behind! When my daughter was a baby, I designed her environment to contain few toys and promote her freedom of movement. She was very contended. When I completed my training, my daughter was a young toddler. I prepared our environment and I showed her some practical life activities. She was around 2 years old. I expected her to do the practical activities on her own, but she was following me everywhere. The Montessori teacher is called a “directress” because she is there to guide, not to teach or control. But she is there, especially in the early years. Her role is to show, observe and offer a carefully planned process to foster the child’s independence. As a first-time mother and newly trained teacher, I was missing a key element of Montessori education. I just had one goal: 5 minutes of peace! Here is your beautiful environment, be independent for 5 minutes and let me drink my tea! It seems that our child’s independence is the Holy Grail. But it shouldn’t be our goal, as Judith Orion reminded me. If you haven’t heard about Judith, she is the directress of the Birth to 3 AMI training programs at the Montessori Institute of Denver. For children under the age of 3, it’s all about physical independence, the ability to use their body, to strengthen their gross and fine motor skills. It’s about language, being able to ask, to name and to make themselves understood. 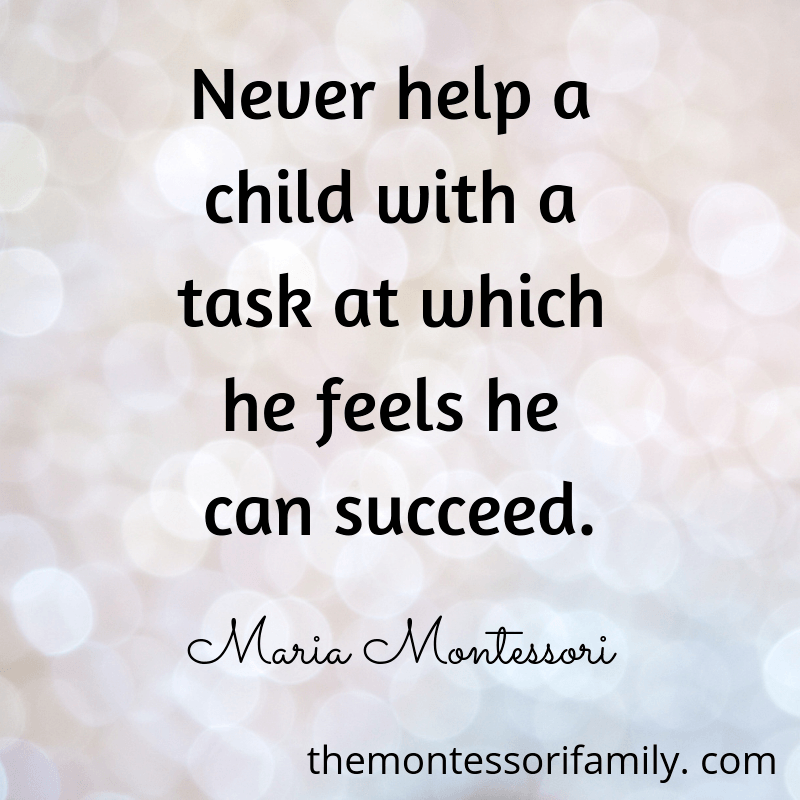 I love this quote from Maria Montessori: “never help a child at a task which he feels can succeed”. If we see Independence as the Holy Grail, like I did, we become pushy, we let our child try to the point of frustration or we feel annoyed that he cannot do it yet. We compare our child to other children. 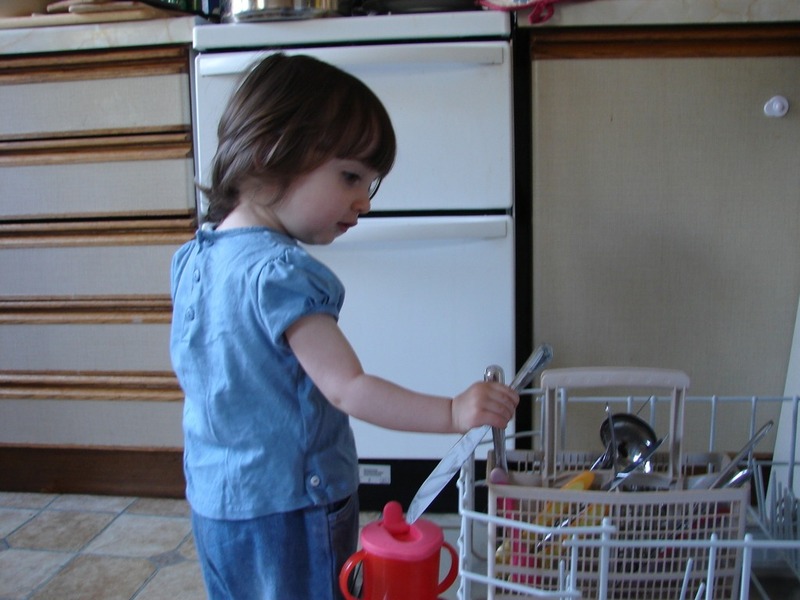 Also, check what you could do in the kitchen with a toddler. I deliberately didn’t include ages as you need to follow your own child!